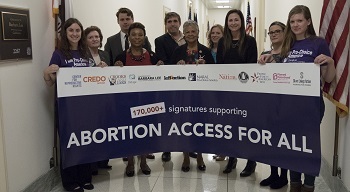 To protect and expand a woman's right to make personal, private medical decisions. With two million members, representing every state, we are on the front lines organizing and mobilizing to preserve and expand reproductive freedom and abortion access in the 21st century. We believe in the power of people to make a difference. Seven in 10 Americans believe abortion should be legal. Today, with two million members representing every state in the union and Washington, DC, we’re on the front lines of the fight to preserve and expand reproductive freedom and abortion access in the 21st century. NARAL Pro-Choice America Foundation was formed in 1977 to provide a policy and educational complement to sister organization NARAL Pro-Choice America’s work fighting for a woman’s right to decide if, when, and how to start or grow her family. Our mission is to support and protect, as a fundamental right and value, a woman’s freedom to make personal decisions regarding the full range of reproductive choices through education, training, organizing, legal action, and public policy. NARAL Pro-Choice America Foundation fights against anti-choice attacks and holds opponents accountable at the national and state level, while advocating to protect and expand reproductive freedom and abortion access in our country. We educate and increase awareness of reproductive freedom issues and how they affect women and families. We organize, mobilize and grow our base at the local and national level, leveraging our voices to make sure officials and the courts hear from the people they represent. Our work is designed to shift the cultural discourse around abortion access specifically, and reproductive freedom generally, to end the stigma and shame that hinder people from accessing the services they need. At NARAL Pro-Choice America Foundation, we fight to protect and expand these rights at every level of government—whether that means putting pressure on lawmakers and corporations, educating the public about current events, or changing the conversation ahead of monumental Supreme Court decisions. Recent successes include spearheading The People’s Defense. 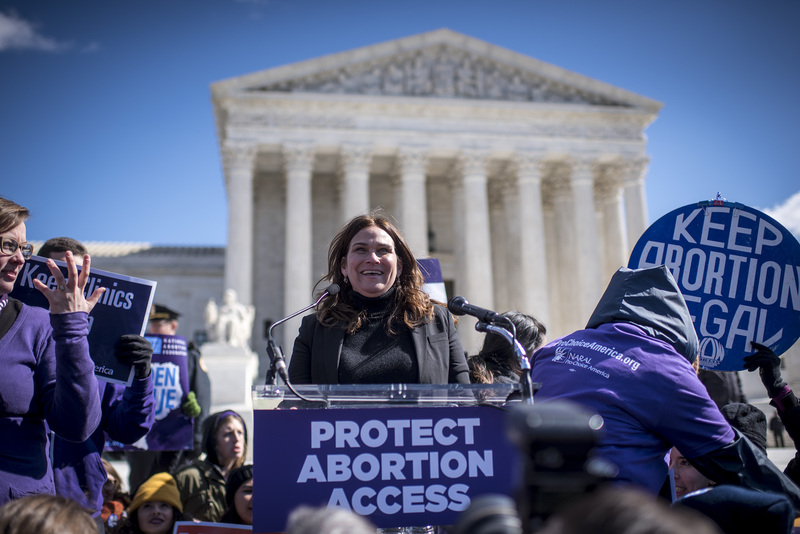 NARAL built and leads The People’s Defense, a broadly progressive coalition of over three dozen allies—including labor, LGBTQ and civil rights—channeling grassroots activism into demanding that lawmakers confirm federal justices who share our values. 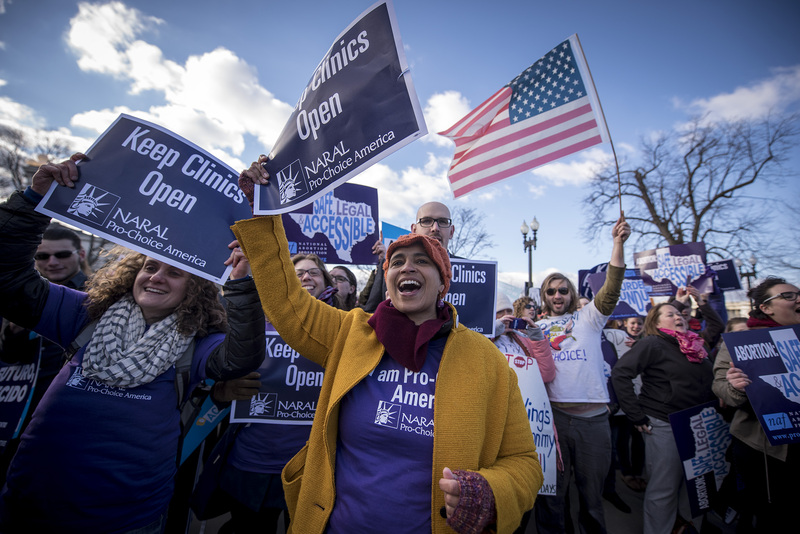 We also exposed fake clinics and organized the #EndTheLies, a campaign exposing fake women’s health centers (aka crisis pregnancy centers) and the extensive, coordinated anti-choice networks behind them. 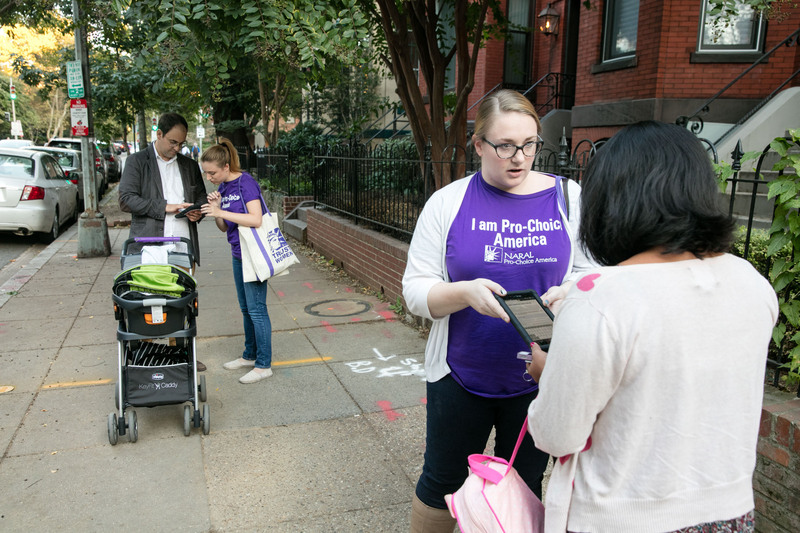 We rallied members to show that women deserve truthful, accurate information about their options. We have also been mobilizing members to #StopTheBans. When anti-choice opponents in Congress attempted to strip women of their right to abortion access with a federal 20-week abortion ban and, later, a six-week abortion ban, NARAL mobilized our members quickly to turn out for hearings and show support for abortion access; made calls demanding lawmakers support and defend reproductive freedom; and share their own stories in national media about how these bans harm women. NARAL has the highest possible rating—four stars—from Charity Navigator, indicating that we exceed industry standards when it comes to good governance and fiscal responsibility.